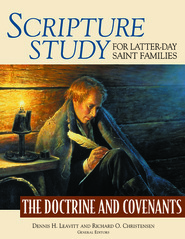 Family scripture study provides great opportunities for teaching and building testimonies — but it can be a real challenge. “We don't have time.” “Our kids are bored.” “It's the same old thing every day.” If you have met these common obstacles, Scripture Study for Latter-day Saint Families can help you overcome them all. 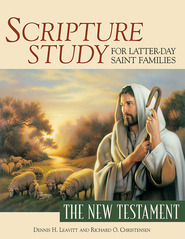 Parents will thrill as they discover the many helpful and exciting tools in these chapters: activities, object lessons, stories, discussion questions, quotations, and insights that will help them lead their families through the Book of Mormon. Simply review the material for the chapter or verses you are studying and select those teaching ideas you think would be most helpful to your family. This book is terrific for my family. Our kids are elementary school aged, but the topics could also easily work for older kids. There are discussion points for every few verses of scripture with activity ideas and discussion questions. We typically pick a few to stop our reading and discuss. It has prompted deeper discussions and much more understanding than simple reading alone. The activity ideas could easily be adapted for a Family Home Evening lesson. This is a great resource and I recommend it.